For some time now, Jeremy has been acting increasingly weird. He insists that they keep returning to the past despite what his friends say. They are all too aware of the dangers inherent to returning to the past, namely, an increase in X.A.N.A. 's powers. When our heroes take a closer look into what's been going on, they discover that X.A.N.A. 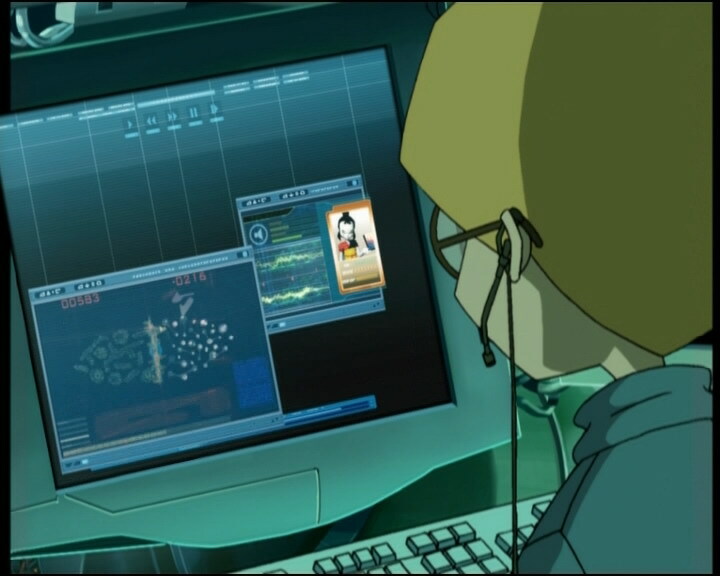 has tricked Jeremy into using Franz Hopper’s notes to build a machine which uses the return to the past process to increase X.A.N.A.’s intellectual capacities tenfold. But the process is jeopardizing Jeremy’s health… and his friends must help him break free of his obsession. In the cafeteria, XANA takes possession of the lunch lady, Rosa, who bombards Ulrich and Odd with plates and other projectiles. 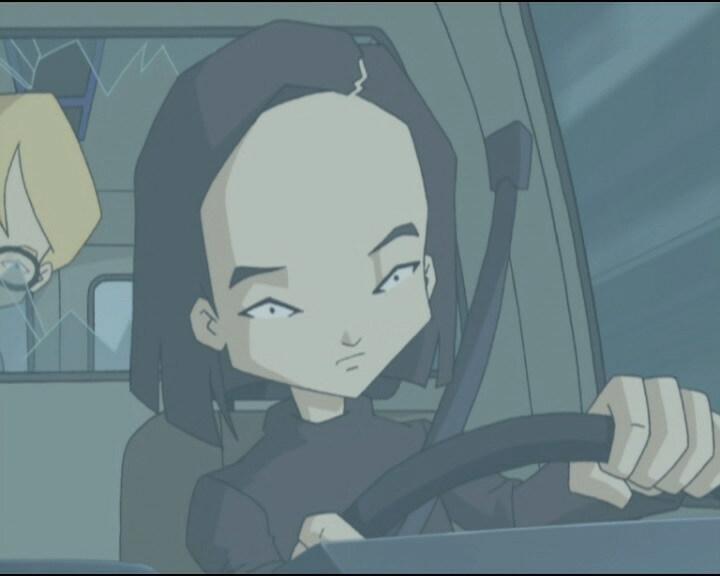 Yumi and Aelita manage to deactivate the tower thanks to Yumi’s telekinesis and once again, Jeremy launches a Return to the Past. Back at the drinks machine, the friends decide to go get Jeremy away from his computer screen. But they find him lying on the floor of his room, unconscious… The principal calls an ambulance to examine the boy. In his dreams, the boy is a prisoner in a sort of white corridor, in which no matter how far he goes, he never gets any closer to the exit…his condition is serious. While the students discuss how they can free their friend from his new dependence, XANA launches an attack: it takes control of the ambulance Jeremy is in, locks the doors and drives the vehicle away. Without a word to her friends, Yumi hurries after the ambulance on a bike, running into numerous obstacles on the way. She finally makes it inside, but her attempts to wake Jeremy are in vain. The other members of the group rush to the factory and Aelita virtualises them all. They appear before almost half a dozen Tarantulas, so they crack the floor open with their weapons. 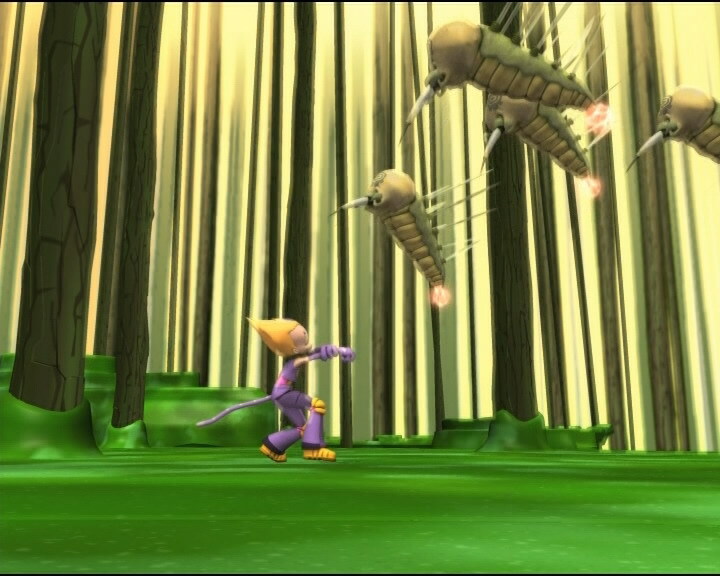 Aelita makes a bridge to the tower but the Tarantulas that didn’t slip into the water devirtualise Odd and Ulrich. 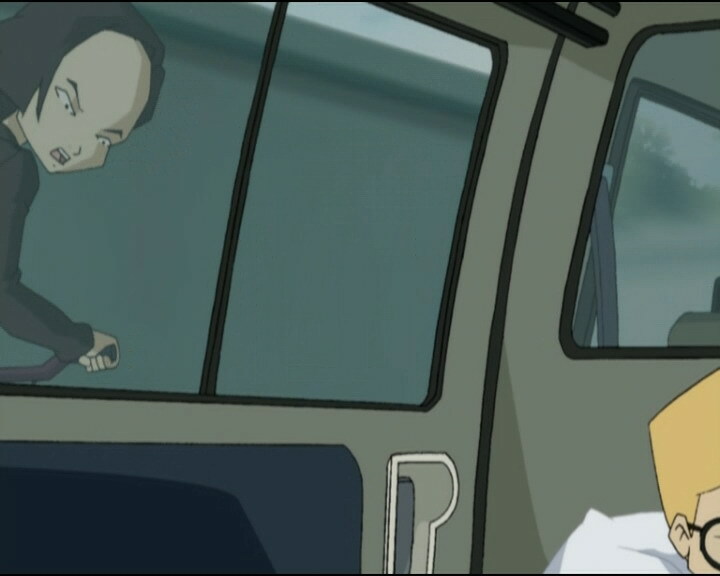 On Earth, Jeremy wakes up just at the moment when XANA decides to drive the ambulance into the river. 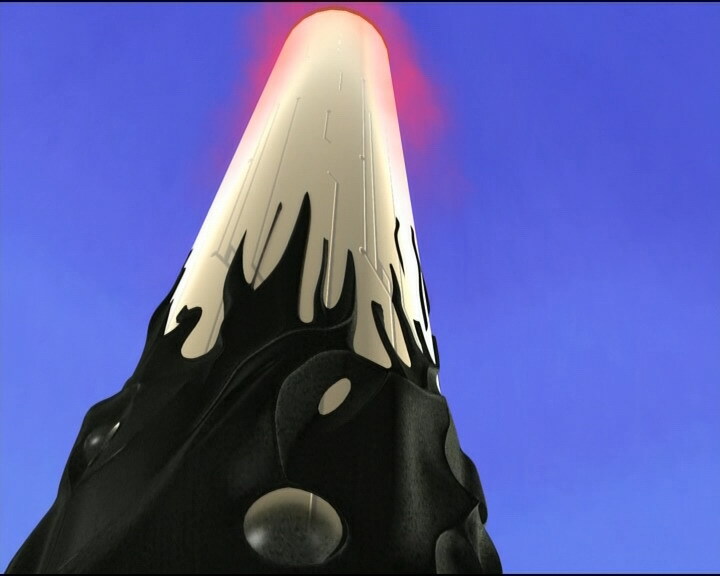 The tower is deactivated but water leaks into the vehicle, threatening Jeremy and Yumi. Jeremy guides Ulrich by telephone so he can launch the Return to the Past. - Attack: Take control of the ambulance Jeremy is in and drive it into the river. - Launch of many returns to the past, the first as an impulsive move by Jeremy, then to repair the damage caused by XANA-Rosa in the cafeteria, and finally to save Jeremy and Yumi from drowning. - Discovery of Odd’s shield. - Second time Ulrich launches the Return to the Past. - Aelita says she doesn’t want to lose Jeremy. - Rosa’s specialties are ratatouille and hash pie. In English her specialty is said to be chopped sirloin. - Odd is a fan of a series called Hospital of Horrors. 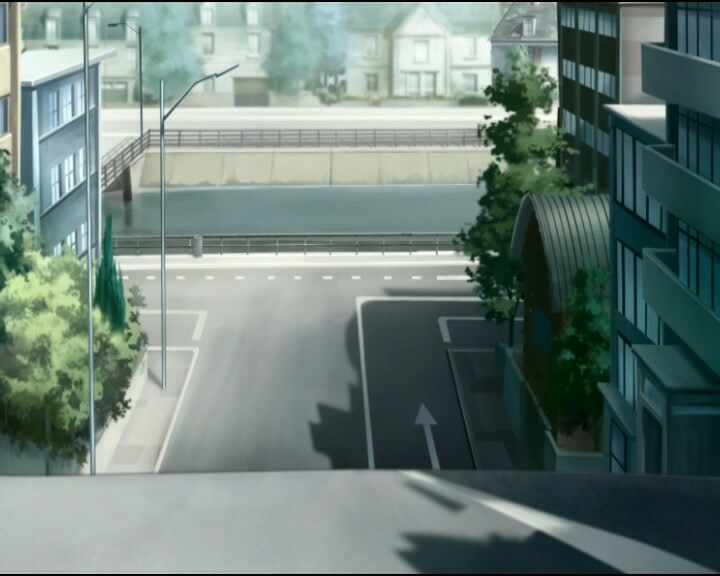 In the English dub the series is referred to by two names, Hospital of Horrors and Horrors at the Hospital. - When Odd asks for an explanation about the return trip at the start of the episode, we see Ulrich talking, not him. - How can Aelita talk to Ulrich without the microphone? 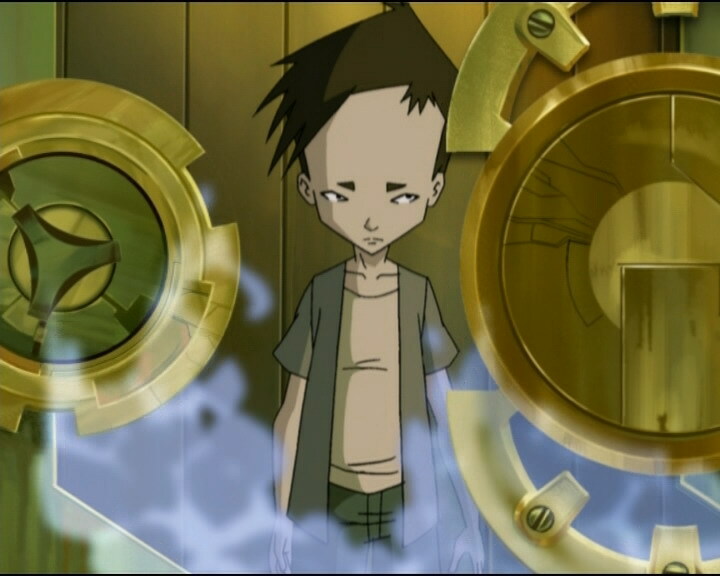 - Aelita’s outfit is reversed when she enters the tower at the start of the episode. - Jeremy’s keyboard disappears when he destroys the helmet. - Yolande’s phone changes between the moment when she calls the hospital and when she tells Aelita Jeremy needs to sleep. - The door to Jeremy’s room is open when Ulrich says he’s not very tidy when it was closed when he asked if they have not one, but two enemies. 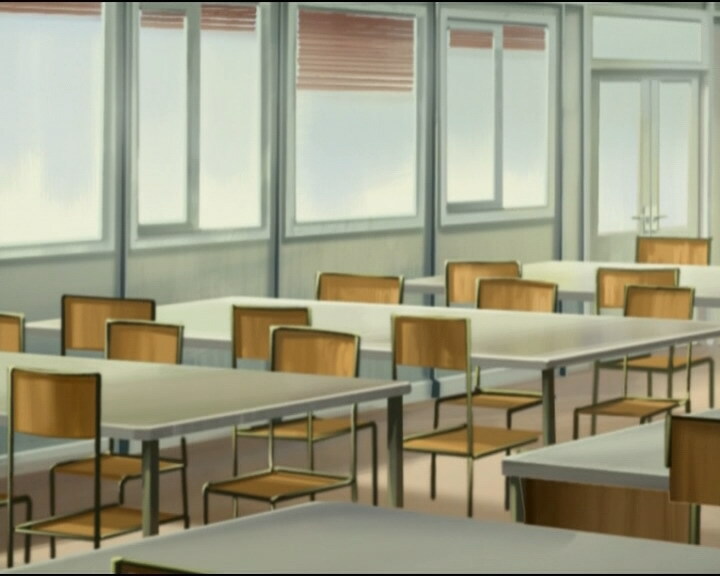 - When Ulrich takes the factory microphone, it’s wireless, then it disappears after Yumi responds that things aren’t going well, at the moment when he enters the co-ordinates for the RTTP the microphone disappears from his ear. - The colours of Odd’s pants are inversed when Ulrich talks about Jeremy’s behaviour, when Odd talks about Dr Schrank, when Yumi asks Jeremy to calm down and when Ulrich approves of Odd’s Dr Schrank idea. 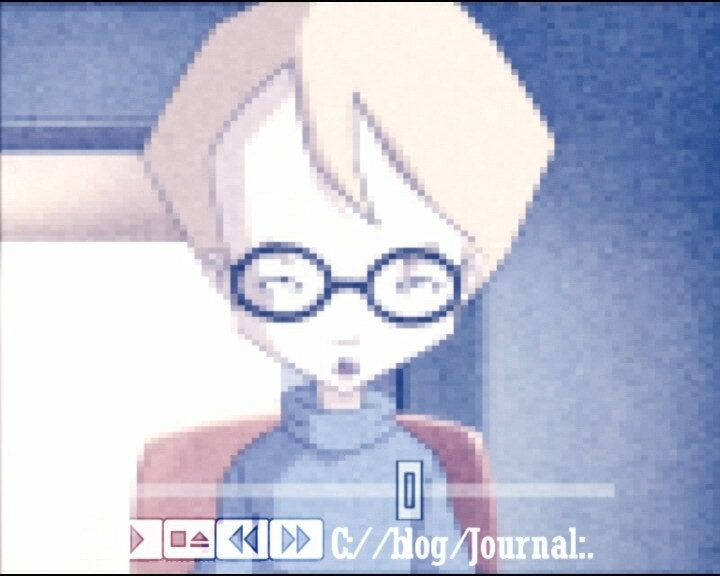 His pants become entirely the darker shade of purple when Rosa falls unconscious, after the second RTTP, when he leaves the infirmary, seeing the file in Jeremy’s room and after finishing the video file. - Odd’s undershirt is missing from his torso when Yumi tells Jeremy to chill at the drink machine. - Third exploitation of Franz Hopper’s journal, allowing Jeremy to make a helmet that amplifies his brain waves. The genius realises that Hopper’s inventions surpass themselves, even Hopper himself! It should therefore be taken with a grain of salt. - First use of Odd’s shield. - First mention of a series called Hospital of Horrors with the mad scientist Dr Schrank. Several allusions are made to this series in following episodes. - Third episode in which the RTTP is launched more than once. 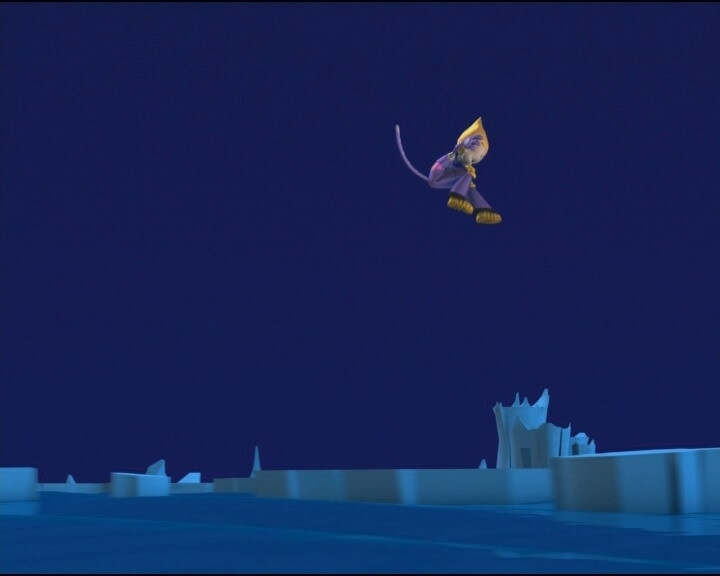 Allusion to episode 30, “A Great Day” in which XANA uses the returns in time to increase its power. - The water the ice platforms float on when the boys break the ice into smaller pieces isn’t part of the Digital Sea and can be swum in. Tweety (Ulrich and Odd) is a miniscule yellow canary who needs to escape the clutches of Sylvester, a cat with much larger proportions than Tweety (Rosa), from an animated series of the same name, part of the Looney Tunes series. 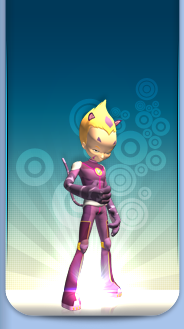 Aelita: Say Odd, why do you always have to wait for the last second? Odd: Because it’s more fun, that’s why! Aelita: Is that what you call fun?! It’s more like insanity if you ask me! Odd: Oh, really? You mean there’s a difference? Hahaha! Jeremy: Odd and Aelita! You’re only a few minutes away from the activated tower. Odd: Bummer, I was just starting to enjoy myself. (Overboard hit by a Hornet’s laser) Well at last some action! Sorry Aelita, we’re going to have to jump! Jeremy: I know what I’m doing, alright?! Odd: Well if you know, then explain it to us! Jeremy: Just trust me, ok?! Jeremy: That’s my final answer! Ulrich: Jeremy’s really becoming a pain. He just flies off the handle for no reason at all! He’s…like a time bomb. Yumi: Who knows, maybe he’s got family problems. Odd: Or else, he’s only just realised he has a split personality, and that when the moon is full, he becomes the son of Dr Schrank! Capable of crafting animal body parts onto human beings! And he now knows that he must face up to a fate worse than death! Ulrich: You’ve been watching Horror at the Hospital again, huh? Odd: How could anyone pass up such a fantastic programme? Ulrich: Hey, you might just have something there with your Dr Schrank theory! Odd: Ah! You see? I told you so! Right, in the meantime, I’ve also gotta face a fate worse than death! Yumi: Jeremy skipped history class? Ulrich: And gym class too. And now he’s skipping lunch…! Odd: Gym class and lunch I can understand! But skipping history class is not Jeremy’s style at all! Jeremy: So what do you want?! You want it to steal your memory?! XANA-Rosa: You over there! Sit back down! I said, SIT DOWN! Odd: I should’ve have said her mashed potatoes look like barf, I guess! Odd: Ready for another round? It’s not every day we get the opportunity to break up the place! Odd: Jeremy! How’s it going on your end? … ‘Cause over here, we’re starting to run out of ammo! Odd: Jeremy, you’d better hustle! May I remind you that Rosa’s specialty is chopped sirloin? Jeremy: Come on, ladies, get a move on! Odd and Ulrich are in a really bad way! Yumi: No kidding! All we need here are some sandwiches for a nice picnic! Yumi: Hold on a second, I’ve got a little idea. Aelita: Little or big, it doesn’t matter as long as it works! Ulrich: Here she comes! Now I know what Tweety feels like against Sylvester…! Jeremy: Just hang in there for another thirty seconds! Odd: Thirty seconds?! That’s like an eternity! Odd (trying in vain to wake Jeremy): Jeremy, wake up! It’s terrible! Aelita has fallen in love with Herb! No reaction? This is really serious! Ulrich: Nothing special, except that I just found out that Jeremy still wears underwear with kangaroos on them! I’ll have to tell him to move on to boxers! Nurse: Huh? Hey, my ambulance! Yumi: Is Jeremy in there? Yolande: Yes, but he isn’t driving it…! Yumi: Jeremy, wake up! Jeremy! Jeremy! It’s me, Yumi! Wake up! Wake up!!! Jeremy: Uh…Yumi! What’s going on? Yumi: Just…huge problems, same old routine! Odd: Maybe you shouldn’t have said it so loud. Ulrich: I’ve got an idea! Odd: I love it when you say that! Odd: You got any other brilliant ideas, Ulrich? 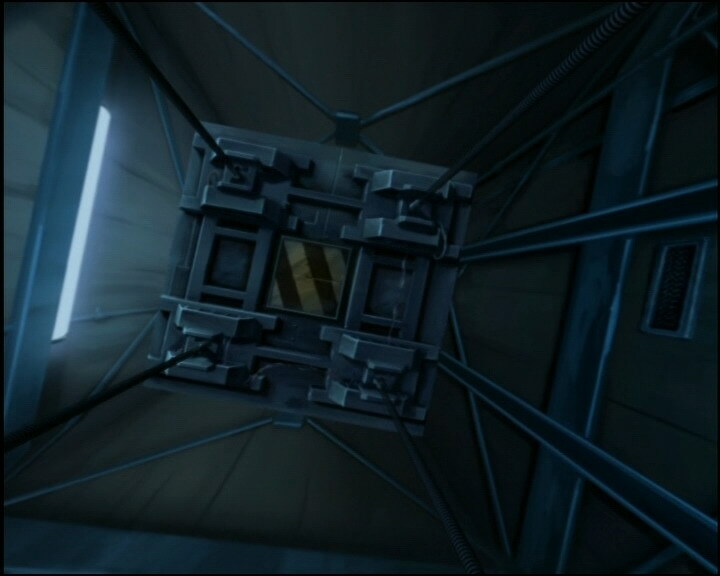 Ulrich: Uh…well… (He’s shot and devirtualised) Ah! Ulrich: Yumi, are you ok? Yumi: To tell the truth, no! Odd: Now, the problem is how to reach the tower! Ulrich: Yeah, and fast! Yumi and Jeremy have one for a dip in an ambulance at the bottom of the river! Ulrich: Yumi, we got it! 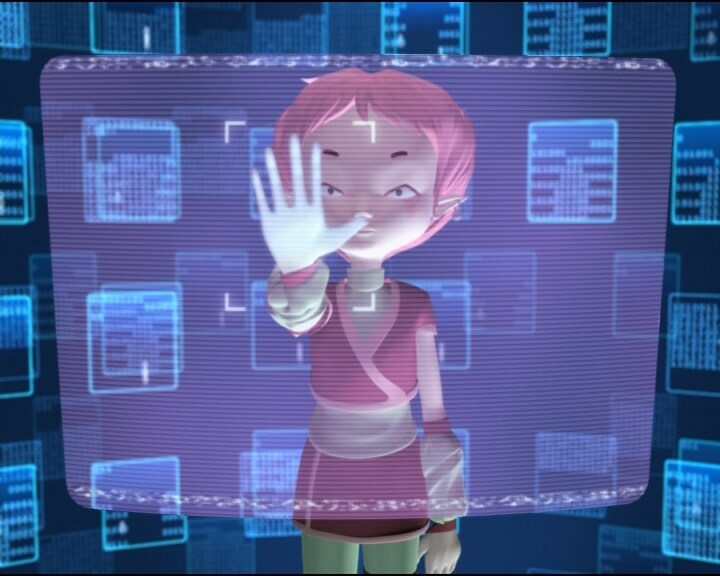 Aelita has deactivated the tower. Ulrich: Don’t tell me he’s out cold again! Odd: So, you were destroying your health without even improving your brain power. I wouldn’t call that a very good deal! Ulrich: In some way then, we have not just one, but two enemies! Jeremy: Hopper is certainly not an enemy! But his discoveries are out of our league…I think we’d better be careful. Aelita: For now, the important thing is that you get back to being your old self again. Odd: That’s for sure! Seeing you so grouchy, you were getting to be like Dr Schrank, or even worse! Huh, Ulrich?